The Hotel Mirabeau Eiffel opened its doors in February 2014 in one of the most delightful areas of Paris. 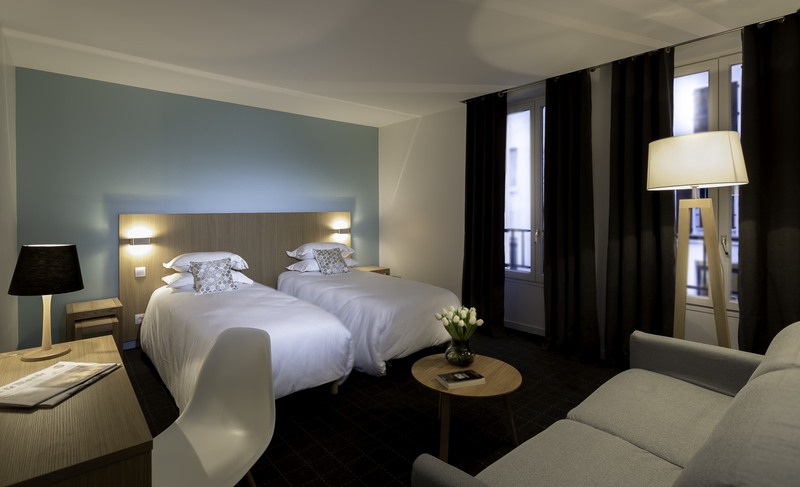 Located in a quiet street in the 15th arrondissement, between the Parc des Expositions at the Porte de Versailles and the Eiffel Tower, this boutique hotel is perfectly suited for business stays as well as for pleasurable getaways. Both peaceful and welcoming, our hotel is distinguished by the quality of its facilities and services as well as the availability of our smiling staff who are happy to answer your questions and attend to your needs at any time. We think you will also appreciate our contemporary style of décor, which has a distinct Scandinavian influence evident in the wood furniture and clean lines design concepts. Functional yet elegant, the Hotel Mirabeau Eiffel and its 29 comfortable rooms offer a relaxing tranquillity and soothing ambience which can also be found in our bright, comfortable breakfast room and the lushly verdant courtyard. Hotel Mirabeau Eiffel enjoys a privileged location, just a few steps from the Seine and close to many sites and monuments emblematic of Paris. The Parc des Expositions at Porte de Versailles, the Parc André Citroën, the modern Beaugrenelle shopping center and the iconic Eiffel Tower are all easily accessible from the hotel, around which you will also find a wide selection of shops, restaurants and cafes. The Hotel Mirabeau Eiffel is served by 2 subway lines, an RER line and various bus services, allowing you direct access to many places throughout the city such as Invalides, Concorde, Madeleine, the Opera and the Grands Boulevards (via line 8), but also Saint- Germain -des- Prés and the Latin Quarter (line 10), the Musée d'Orsay, the Porte Maillot or the Château de Versailles (line C). Our location is ideal whether you are in Paris for shopping, entertainment, the cultural experience or on business.